Carnival Cruise Line today announced plans for a "nearly $200 million bow-to-stern makeover" for Carnival Triumph in the spring of 2019 that will include renaming the ship Carnival Sunrise. The two-month-long refurbishment will take place in Cadiz, Spain, starting March 1. 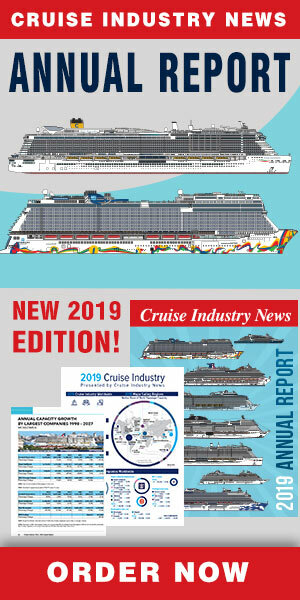 The drydock will add all of Carnival’s branded food, beverage and entertainment innovations, as well as update all staterooms in a broad spectrum of new accommodations providing guests fresh and exciting seagoing vacation choices, the company said. The Carnival Sunrise enhancements include the redesign of two luxurious Captain’s Suites adjacent to the navigational bridge offering floor-to-ceiling windows and extended balcony grand suites. All of the ship’s staterooms will be updated to offer island-inspired interiors with bright colors and soothing pastels inspired by the line’s Caribbean itineraries.